All Pittsburg homes currently listed for sale in Pittsburg as of 04/19/2019 are shown below. You can change the search criteria at any time by pressing the 'Change Search' button below. If you have any questions or you would like more information about any Pittsburg homes for sale or other Pittsburg real estate, please contact us and one of our knowledgeable Pittsburg REALTORS® would be pleased to assist you. "Welcome to the best value in the San Marco Master Planned community. Sitting atop a higher elevation this home enjoys excellent views onto the Delta from the master bedroom. There is too much to enjoy in this 5 Bedroom and 3.5 Baths home that is ideally suited for entertaining your guests. This home features an expansive kitchen with a large center island to enjoy meals with friends and family. This home has an open floor plan, hardwood floors, walk in pantry, granite counter tops, 9 speaker audio system, California room, water softener and purifier, a covered patio with tile flooring, a finished flat backyard, a spacious 1 bedroom with a full private bathroom on the 1st floor and window shutters. Theres also a 3-car split garage and this area is surrounded by walking and hiking trails. Just a short distance to the Pittsburg Bart station and Highway 4"
"WOW!!! Beautiful 5 year old home in the San Marco community. Featuring an updated kitchen with granite counter-tops and a large island, stainless steel appliances. Nice wood flooring downstairs. This home also features a loft and a beautiful outdoor space. Perfect location just minutes to BART and Concord." "Built in 2015, this Single Story home in the popular San Marco area is gorgeous with lots of tastefully chosen builder upgrades. You will get 44K plus of upgrades and more when viewing this home. An impressive entry and wonderful open floor plan offers a great opportunity for entertainment. The open concept kitchen and family room with fireplace, built-in glass shelving, creates a great room concept. Enjoy the expansive master suite with a walk-in closet. You will enjoy a large master bathroom with sunken bathtub and separate shower stall. The fully landscaped backyard is roomy for entertaining. This home is a commuter s dream, close to Bart and Hwy 4, plus shopping, and more. Come visit the Open House this Saturday and Sunday from 1 to 4pm." "Welcome home to this Oakhills, Capistrano Property built in 1999. This beautiful home offers 3 Bedrooms and 3 Full Bathrooms with a Bonus room downstairs. This home has a spacious 1,783 square feet of living space. Open the door to the recently painted formal living and dining rooms. You'll immediately notice the new laminate wood like floors and high ceilings. This home also has a good size family room which extends to the spacious kitchen with newly installed granite counter tops with stainless steel kitchen appliances and an island, perfect for gatherings. The backyard boasts 7,380 square feet which is accessible from the family room. Ideal Commute location, less than a mile to BART and freeway access." "For Discriminating Home Seekers Desiring The Best. Newer Home With Great Close By Amenities. Beautiful Open Floor plan, With Bedroom And Full Bathroom Downstairs. Large Open Space Area That Can Be Used As An Office/Entertainment Area/Library Or Converted Into a 5th Bedroom. You Can Easily Walk To The Marina And Downtown To Enjoy The Best Restaurants And Convenience Stores From The Area. Elementary School Just A Block Away, There Is Really Nothing Else You Can Ask For An Ideal Place To Be Called Home." "Wow, this one is ready for your picky buyers... Step right into easy living & abundant lifestyle. Water view and greenbelt nearby, close to redeveloped historic downtown and marina. Corner lot with no rear neighbors. Ready to move in: fresh paint and new laminate flooring and carpets, new baseboards, new water heater and furnace, new granite counter tops over clean freshly painted cabinets, new vanities in both bathrooms; huge master with walk in closet, stainless appliances, slate tile floor in kitchen and nook area. New garage door opener in finished garage, cabinets stay. High ceilings and skylights allow lots of light, lawn area complimented by concrete patio in rear with terraced flower beds. Picnic and swim in community pool and exercise choice of 4 hot tub/spas. Lovely home waiting for new owners to enjoy, enjoy, enjoy!" "4 bed, 2 bath. 1,608 sqft of living space, Large 8,000sqft+ corner lot! Court location. Close to shopping, parks and schools, easy access to freeway. Next to Pittsburg center bart station. Call listing agent for showing appt. DOG ON PROPERTY!!" "WOW PRICE! Single story and picture perfect! Great condition, updated bathrooms, remodeled kitchen, granite counter, oak cabinets, tile flooring in common areas. Large master bedroom with 2 large closets and access to backyard. Backyard patio and as close to the community pool as you can get, without it being IN your backyard. Community tennis court and easy walk to Marina, downtown restaurants and shops. Corner lot with great curb appeal. 2 car garage. This won't last at this price! Just move right in! Make us an offer we can't refuse." "One-story, detached, single-family home.,kitchen features breakfast nook laminate floors, opens to dining room . family room with fireplace open to the backyard patio area easy access to highway ,BART and shopping." "Elegant Vidrio Condo complex in Downtown.Upgraded top-floor townhome style unit with granite counter-top, SS appliances, Huge balcony w/view of Delta; Security complex and gated garage w/2 prkg spaces. Fitness center, pool & club house.Walk to restaurants, Marina, schools. farmer market"
"This home has a cozy feel. The living room has wood beamed ceiling and hardwood floors. The brick fireplace adds to the charm. There is a separate dining area, the kitchen is open to the living and dining rooms and the kitchen has been remodeled. It has new cabinets, granite counters and all high end stainless appliances. The entire house has hardwood floors except for the kitchen and bathroom. It is a short distance to shopping and the freeway." "Beautiful home! Three Good size bedrooms and one bathroom- tiled walls and modern vanity. Beautiful wood beamed Ceilings!! Renovated and Ready! Newer Roof! Nice size living room with great natural light! Large fenced yard. Two car garage. Air condition. New carpet. Freshly painted inside and out!!! Honey stop the car!" "Price Reduction!! Diamond in the rough! This is an awesome investment opportunity. This 3 bedroom 1 bath home is the perfect location to have an investment property. All this home needs is a little bit of love for it to shine!! It is located in the heart of Pittsburg. 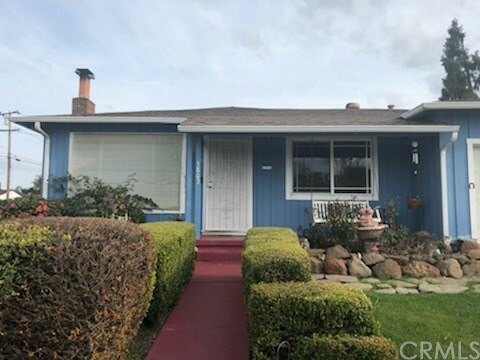 It is just around the corner from Pittsburg High School, minutes from the new Pittsburg E-Bart station, close to City Park, and just minutes from the popular Old Town Pittsburg." "Senior Park well maintained 3 bedroom, 2 bath mobile home with updated kitchen appliances, cabinets, flooring and paint. Home has a laundry room, large family room with lots of natural sunlight and dining room with hand made display cabinets. Master bathroom with dual vanity and custom nook built in! With updated vinyl flooring, carpet, HVAC system, roof. With a large outside shed, home is move in ready. Fireplaces: NO"
"Beautifully updated double wide with apprx 1440 sqft. New flooring throughout home, new int paint, updated light fixtures, new water heater, new toilets, updated bath fixtures, New HVAC and roof. formal dining, large family room, large laundry-storage area. Delta Hawaii-Senior park-must be 55 or older. Community pool and clubhouse. Fireplaces: NO"